Tattooing Central Coast the Body Art Temple steers away from the cliché environment that the tattoo world is renowned for, Johnboy promotes the industry in its absolute correctness at his modern shop located in the heart of Wyong. With his inspiration stemming from many Innovative Artists, Johnboy has been widely educated put together with his experience, dedication and knowledge of the industry has enabled him to be the recipient of over 120 nationally recognized awards from shows all over the country. His dedication to his art, ability to see outside the bounds of reality as well as passion for his pieces enables Johnboy to connect with his clients and work with them on “bringing their artistic visions to life”. 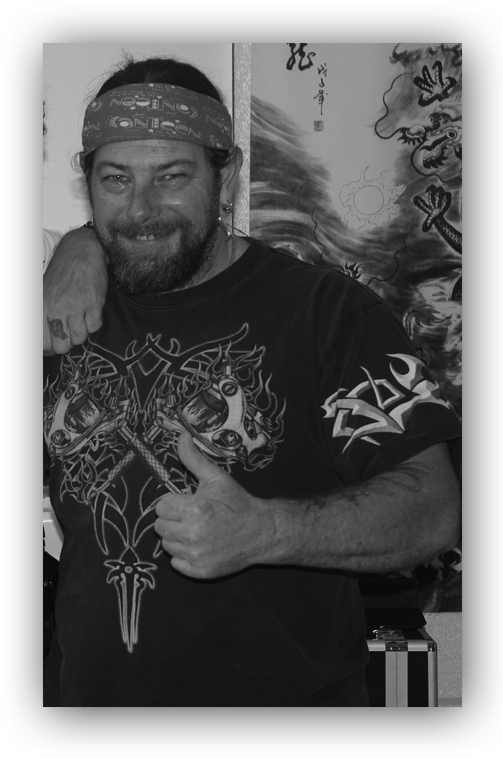 Priding himself on his faultless sterilization techniques, his adherence to government health regulations and along with over 25 years experience in the industry his custom tattoo art is setting a benchmark in the industry which offers his clients total piece of mind.